You may not be aware but it is estimated that almost 150,000 motorists in the UK put the wrong fuel in their fuel tank every year. The majority of mistakes happen with people that own a diesel car who put petrol in the fuel tank as the nozzle is thin enough to easily fit in the opening to the diesel tank. However, it is still possible to put diesel in a petrol tank even though the nozzle is often too large to fit in the opening of the tank. If you mistakenly put the wrong fuel in the tank then you should not start the engine as this is likely to cause severe damage to the engine that could be costly to sort out. Instead, you should seek assistance to push the car to a safe place on the forecourt and then call your insurance company if you have cover for such an eventuality. Unfortunately, although it is a common mistake to put the wrong fuel in the tank, there are not a huge number of insurers who provide cover through your car insurance policy either as standard or as an optional extra. However, having moved your car to a safe place on the forecourt, you may wish to speak to your insurance company to find out if you are covered either to have the wrong fuel drained from the tank plus have it cleaned out and/or for damage to the engine. There are also an ever increasing number of insurers that provide specific misfuelling cover policies designed to pay for the likes of the removal of the fuel from the tank and clean it out and/or to cover the cost of any damage caused to the engine. So, if there is no misfuelling cover included within your car insurance policy then you may wish to get a quote for arranging separate cover. You may be pleasantly surprised to find out how inexpensive it may be to arrange such cover. Do bear in mind that if there has been damage to the engine then the repair bill could amount to several thousand pounds so it may be worth seriously considering such cover. So, check if your motor insurance policy already provides such cover as standard or, if not, is it an optional extra. 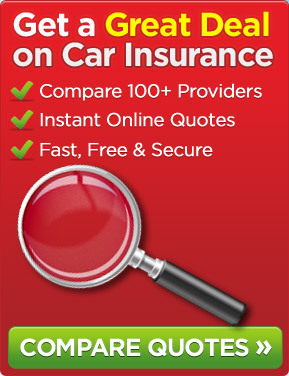 If it is included as standard then, as long as you are covered for removing the wrong fuel and cleaning the fuel tank and for damage to the engine, you can have peace of mind but if it is an optional extra then you may wish to compare the cost of adding it to your car insurance policy as an optional extra with taking out a separate misfuelling cover policy. This entry was posted in News and tagged car insurance, Misfuelling Cover, Motor Insurance. Bookmark the permalink.